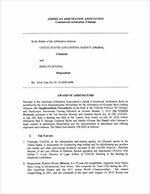 USADA announced today that a three-member panel of the American Arbitration Association (AAA) has rendered its decision in the case of weightlifting athlete, Rizelyx Rivera, of Puerto Rico, and has determined that Rivera should receive a one-year sanction after testing positive for a prohibited substance. Rivera, 29, provided a urine sample on August 15, 2015, at the USA Weightlifting National Championships in Dallas, Texas. Her sample tested positive for the presence of oxymorphone and noroxycodone, which are metabolites of oxycodone. Oxycodone is listed as a specified substance in the class of narcotics and prohibited in-competition under the USADA Protocol for Olympic and Paralympic Movement Testing, the United States Olympic Committee National Anti-Doping Policies, and the International Weightlifting Federation Anti-Doping Rules, all of which have adopted the World Anti-Doping Code and the World Anti-Doping Agency Prohibited List. Rivera’s one-year period of ineligibility began on August 15, 2015, the date her positive sample was collected, and ended on August 14, 2016. 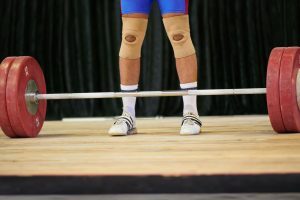 As a result of the doping violation, Rivera’s competitive results recorded during the period of eligibility have been disqualified, including forfeiture of any medals, points, and prizes from the 2015 USA Weightlifting National Championships.